Share your relations with your co-workers to give them access to all important information and improve your communication. You choose with whom you want to share your relations and how much other will see. If you will share the list with your teammates, they will see all relations within this list. 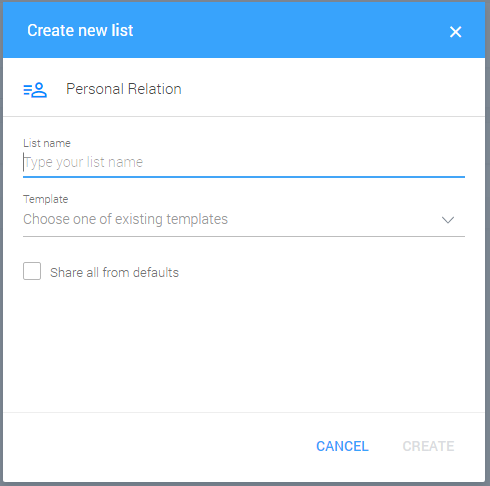 If you decide to share particular relation from the list you can do it from Grid view. During the creating list process, click on the “share all from defaults” option, to give other access to all your relations on this list. To give other access to the list, click on the “three dots” icon in the top right corner. Then, choose the “share” option. You can do it whenever you want, not necessary after creating a new list.